The development received funding in part through a visa program meant to help distressed areas. Now, an Ontario pension plan stands to gain from it. 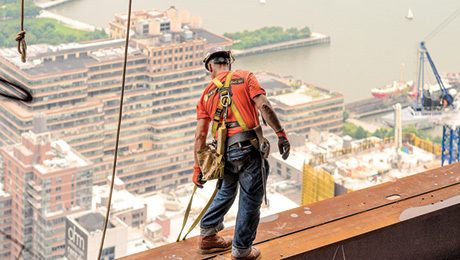 Hudson Yards, the soon-to-be home of several asset management firms like KKR and BlackRock, was financed at least in part by an investor visa program meant to benefit impoverished areas because the area was qualified as “distressed,” according to new reporting from CityLab. CityLab, a subsidiary of The Atlantic that covers urban areas and how they work, reported on Friday that Hudson Yards got that designation because it was linked, through what CityLabs called “a form of creative financial gerrymandering,” to public housing projects in Harlem, which is roughly six miles away from the Hudson Yards development. But there are other beneficiaries that the CityLab report did not reveal: namely, a large Canadian pension plan. The investor visa program, called the EB-5 Visa program, allows foreign investors to receive green cards in exchange for investments in the United States. Investing in an area considered rural or “distressed” decreases the size of the investment necessary to qualify for the program from $1 million to $500,000. To receive that designation, an area has to meet a certain unemployment threshold, according to CityLabs — one that Hudson Yards would not have met on its own. 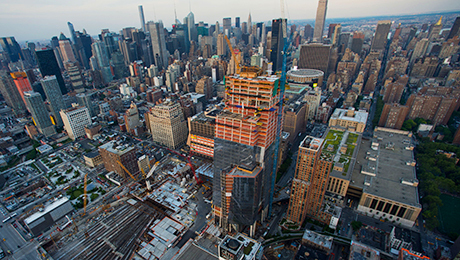 CityLabs reported that the Hudson Yards project raised at least $1.2 billion of its financing through the EB-5 program. The piece made waves in the investment community Friday, with Ritholtz Wealth Management founder Barry Ritholtz calling the news “an abomination” on Twitter. Some of the biggest beneficiaries of this rezoning, it turns out, are people who work for the Ontario municipal government. That's because the real estate investment arm of Ontario Municipal Employees Retirement System, Oxford Properties, is one of the main developers of Hudson Yards, working with real estate developer Related Companies to bring the vision to life. “Hudson Yards is a rare opportunity: the chance to make a transformative contribution to one of the world’s great cities,” Oxford’s website shows. The fund adds that it would bring 55,752 direct jobs to New York. OMERS’ real estate investments have been lucrative for the pension fund. According to its 2018 annual report, real estate investments returned 8.7 percent in 2018, as compared with 11.4 percent in 2017. This represents net investment income of $1.3 billion in 2018 and $1.5 billion in 2017. The report did not include a breakdown of how each investment, including Hudson Yards, performed. The plan increased its investments in real estate during 2018. 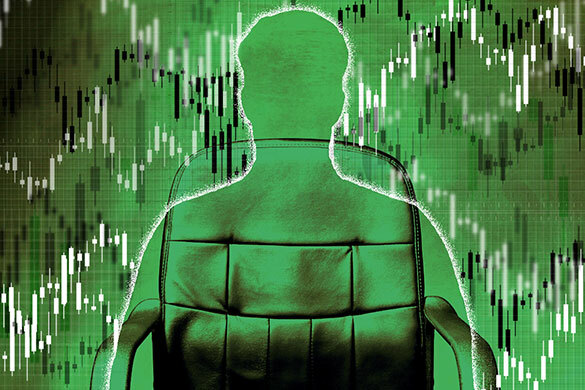 It allocated $22.3 billion to the asset class in 2018, as compared with $15.5 billion the year before, the report said. 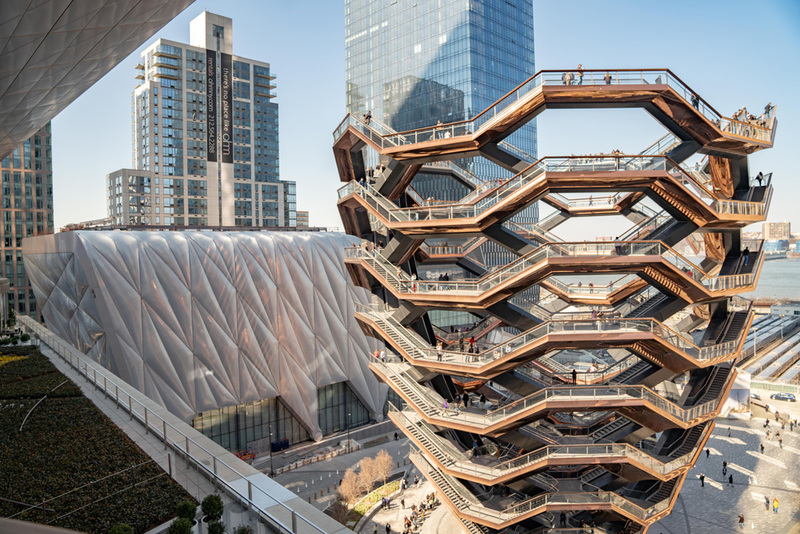 A spokesperson for OMERS declined to comment on its participation in the Hudson Yards development, directing requests for comment to a spokesperson for Related Companies. The spokesperson for Related Companies, who also represents Hudson Yards, maintains that the company followed the rules set up by the federal government and that the development “comes at no cost to the taxpayers. “By utilizing the EB5 program we were able to finance the critical infrastructure for the project, the platform, where traditional financing is all but non-existent in the post-recession, post-Dodd-Frank marketplace,” the spokesperson said via email. “This capital, which comes at no cost to the American taxpayers, was the catalyst for the Hudson Yards project and allowed us to immediately create thousands of jobs all over the city offering tangible regional economic benefits and direct benefits to areas of high unemployment,” the spokesperson added.